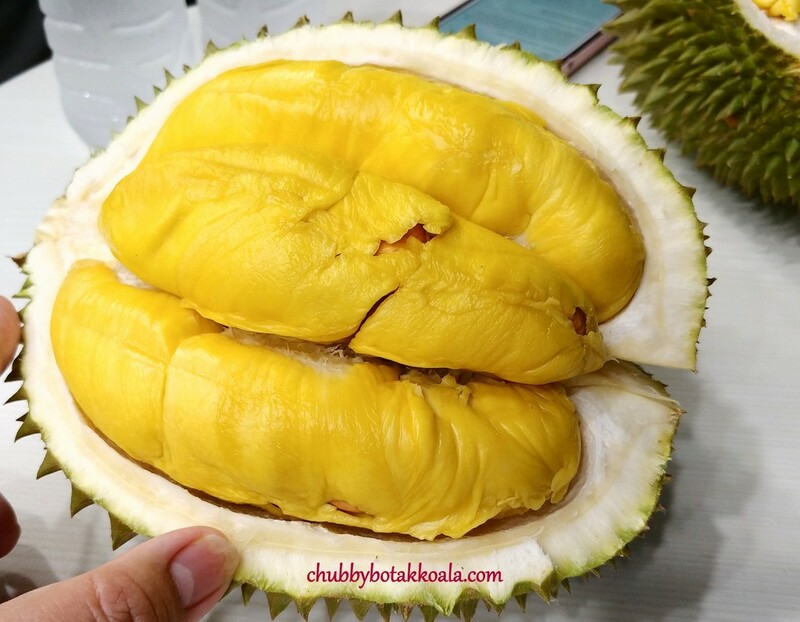 Durian, the King of Fruits, the exotic and mystical fruits that has a special place in the heart of people in South East Asia. It is pungent, polluted the refrigerator like a gas leak, but it just keeps enticing your taste buds. 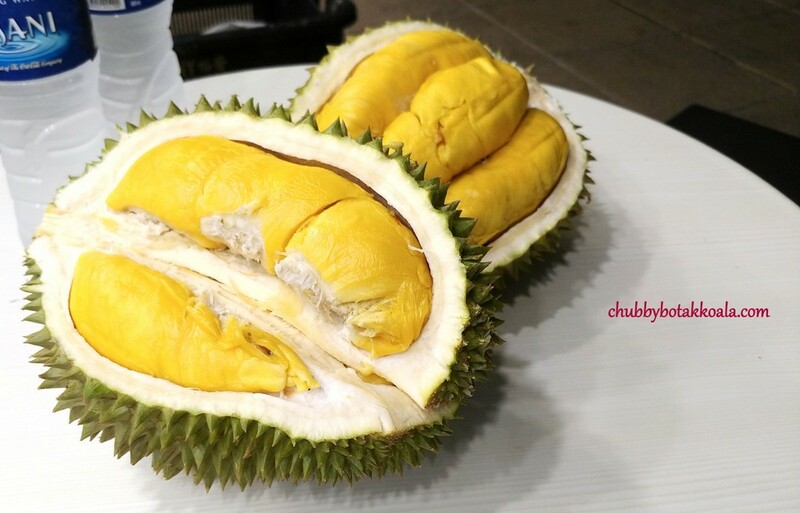 Durian seasons normally reach its peak in the mid-year and end of the year. 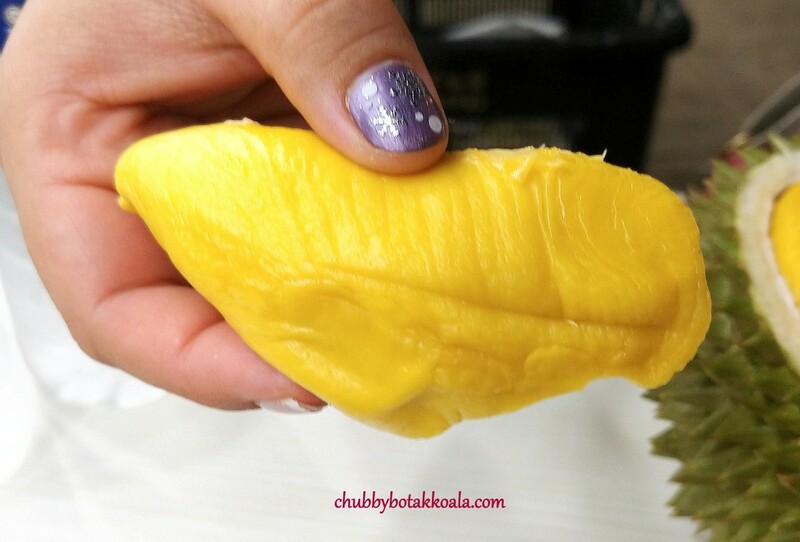 The current market favourite in Singapore is the Mao Shan Wang / Musang King (MSW). It is known for the creaminess, perfect balance between bitter and sweetness, plus their seeds are small and flat in most of them. However, buying durian can be very challenging. 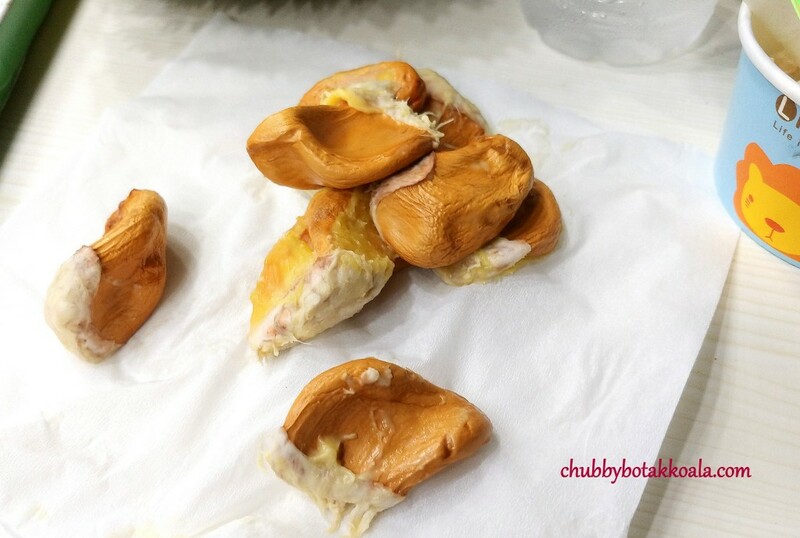 I have been “chopped or conned” a few times when buying durians and personally hate the hard selling tactics. Thankfully, I got to know a couple trusted durian seller recently. One of them is Durian Empire in Punggol Plaza. Owned and run by a group of younger generation of durian sellers, they focus on service and 100% Ethical Durian Deals. Everyday, they will post the price of their durian on their facebook page. Their current offering includes: Premium MSW, Old tree MSW, Normal MSW, JinFeng, Highland Red Prawn and more depending on the supply. 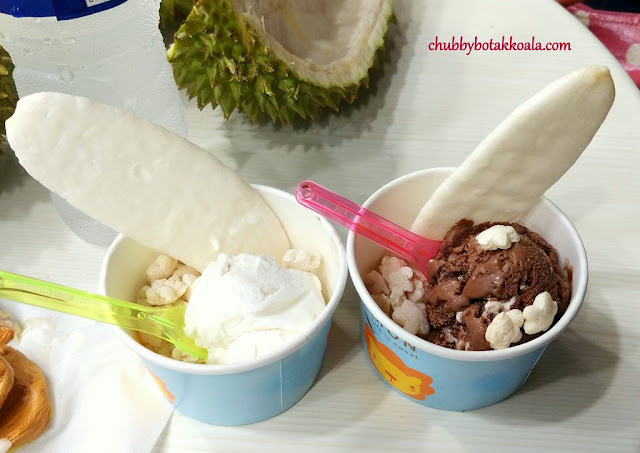 Little Devil and I went to Punggol Plaza based on the invitation by Durian Empire. The Premium MSW (priced at $22 per kg on the day) are meaty, creamy and have a good balance between bitter and sweetness. 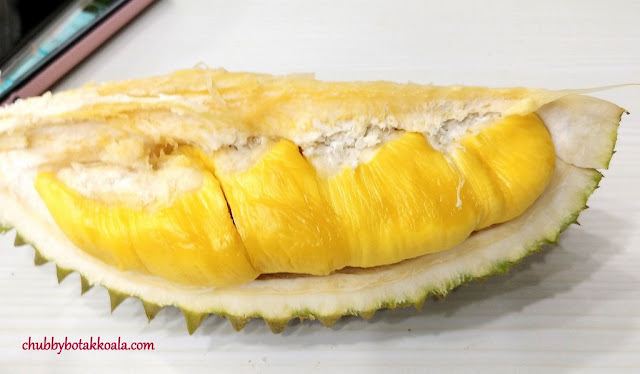 Definitely a #Duriangasm. The plus point also the seeds were very small. As it is a “Media Invite” tasting, meaning they will give us the best one to try. However on the same night, we came with a couple of friends and they were sitting far away from us, like our mystery diners. Their feedback to us is that they received the same transparent and friendly service from a different staff member. They do not hard sell you and their durian quality is very good. By coincidence, we also met another friend that stayed near Punggol. 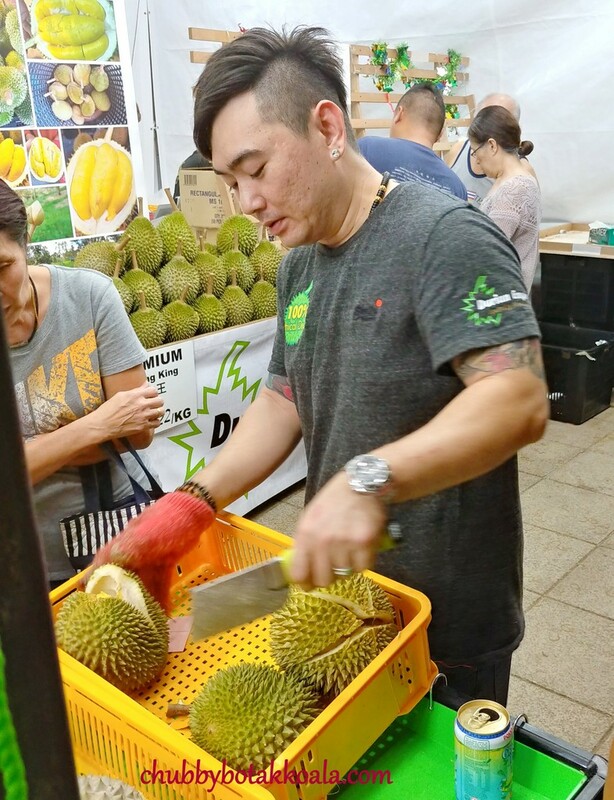 He said this was his second time and praise Durian Empire for their service and quality. This is to show that Durian Empire are true to their words on 100% Ethical Deal. For those with kids, the little ones will get free flow of ice cream so the adults can enjoy the durian in peace. 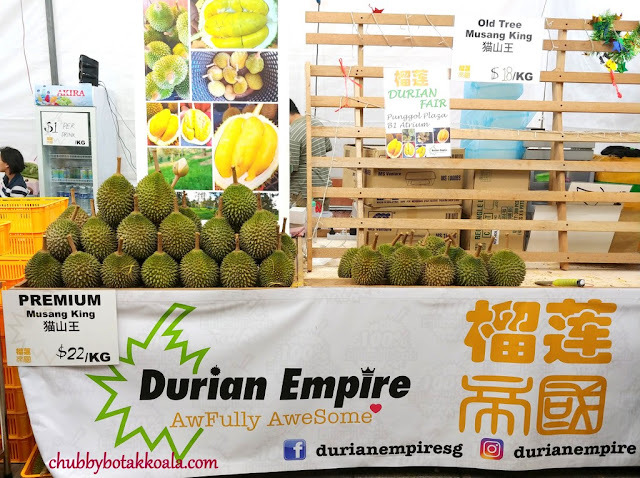 Durian Empire offers Free Delivery service for North East and East Region: Punggol, Sengkang, Bedok, Hougang, Tampines, etc. with a minimum order of 3kg of the same variety. Delivery time is between 6 to 10 PM. Please PM them early on Facebook or the numbers below. When finalising the order, they will PM you the photo of your order for confirmation. Overall, I was glad to be invited by Durian Empire for the media tasting. Now, I know a Durian Place that I can trust and provide a transparent and wonderful service. Indeed 100% Ethical Deals. Cheers!! Thank you very much to Martin & Zen for hosting us and the delicious Premium MSW. Daily Prices are available on Facebook page. Delivery is available North East and East Region: Punggol, Sengkang, Bedok, Hougang, Tampines, etc.